Professor Emeritus, Teachers College, Columbia University, New York, NY. Martin, J.E., Mithaug, D. E., Oliphint, J. H., Husch, J. V. & Frazier, E. S.
(2002). Self-directed employment: A handbook for transition teachers and employment specialists. Baltimore: Brookes. Mithaug, D. E. (2000). Learning to Theorize: A Four-Step Strategy. Thousand Oaks, CA: Sage Publications. Vitello, S. J. & Mithaug, D. E. (1998). Inclusive schooling: National and international perspectives. Mahawah, NJ: Lawrence Erlbaum Associates. Mithaug, D. E. (1993). Self-regulation theory: How optimal adjustment maximizes gain. Westport, CT: Praeger Publishers. Mithaug, D. E., Martin, J. E., Agran, M., & Rusch, F. R. (1988). Why special education graduates fail: How to teach them to succeed. Colorado Springs, CO: Ascent Publications. Mithaug, D. E., Martin, J. E., James V. Husch, Agran, M., & Rusch, F. R. (1988). When will persons in supported employment need less support? Colorado Springs, CO: Ascent Publications. Mithaug, D. E. (1981). Prevocational training for retarded students, Springfield, Illinois: Charles C. Thomas. Mithaug, D. E. (1981). How to train prevocational skills for severely handicapped persons. Austin, Texas: ProEd. Rusch, F. R, & Mithaug, D. E. (1980). Vocational Training for mentally retarded adults. Champaign, Illinois: Research Press. Mithaug, D. E. (Issue Editor). (1979) The changing workforce and how to manage it. Journal of Contemporary Business, Spring, 8. Mithaug, D.K., & Mithaug, D.E. (in press). The effects of teacher versus student-directed instruction on the self-management of young children with disabilities. Journal of Applied Behavior Analysis. 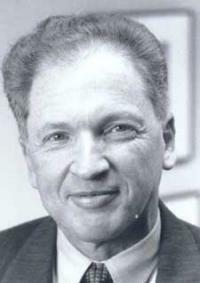 Wehmeyer, M. L., Palmer, S. B., Agran, M., Mithaug, D. E., & Martin, J. E. (2000). Promoting causal agency: The self-determined learning model of instruction. Exceptional Children, 66, 4, 439-453. Mithaug, D.E. (1998). Book Review: Teaching Self-Determination to Students With Disabilities, Basic Skills for Successful Transition, by Michael L. Wehmeyer, Martin Agran, and Carolyn Hughes. The Journal of the Association for Persons with Severe Handicaps, 23(4), 334-335. Mithaug, D. E. (1998). Invited Commentary: “Your right, my obligation?” The Journal of the Association for Persons with Severe Handicaps 23 (1), 41-43. Mithaug, D. E., Wehmeyer, M. L., Agran, M., Martin, J. E., & Palmer, S. (1998). The self-determined learning model of instruction: Engaging students to solve their learning problems. In Wehmeyer, M. L. & Sands, D. J. (Eds.) Making it happen: Student involvement in education planning, decision making and instruction. Baltimore, MD: Paul H. Brookes: Publishing. Mithaug, D. E. (1996). The optimal prospects principle. In Sands, D. J., & Wehmeyer, M. L. (Eds.). Self-Determination across the lifespan: Theory and practice. Baltimore, MD: Paul Brookes, Publishing Co.
Wolman, J. M., Campeau, P. A., DuBois, P. A., Mithaug, D. E., & Stolarski, V. S. (1995). AIR Self-determination Scale and User Guide. Palo Alto, CA: American Institutes for Research. Mithaug, D. E. (1995). Equity and Excellence in School-To-Work Transitions of Special Populations. Centerfocus 6, 1-4. Martin, J. E., Mithaug, D. E., & Frazier, E. S. (1992). Effects of picture referencing on PVC chair, Love Seat, and Settee assemblies by students with mental retardation. Research in Development Disabilities, 13, 267-286. Martin, J. E., Agran, M., & Mithaug, D. E. (1990). Consumer-centered transition and supported employment. In J. L. Matson (Ed. ), Handbook of behavior modification with the mentally retarded (2nd ed.). New York: Plenum Press. Martin, J. E., & Mithaug, D. E. (1990). Effects of visual cues upon the vocational task performance of students with mental retardation. Exceptionality, 41-59. Mithaug, D. E., (1990), Translation of research to practice: What is it? Focus on Research, 2 (2), 1. Mithaug, D. E., (1990), The translation of research to practice is . . . Focus on Research, 2(3), 1-2. Martin, J. E., & Mithaug, D. E. (1990). Consumer-directed placement. in Rusch, F. R. (Ed.). Supported employment methods, models, and issues. DeKalb, IL: Sycamore Publishing CO.
Martin, J. E., Mithaug, D. E., Burger, D. L., (1990). Effects of visual cues upon the vocational task performance of students with mental retardation. Exceptionality, 1 (1), 41-59. Martin, J. E., & Mithaug, D. E. (1989). Adaptability instruction: Student-centered curriculum planning process. In B. Brightly (Ed. ), "What works" in secondary special education and transition services. Trenton, NJ: New Jersey Dept. of Education. Martin, J. E., & Mithaug, D. E. (1989). Community-referenced, student-centered assessment. In B. Brightly (Ed. ), "What works" in secondary special education and transition services. Trenton, NJ: New Jersey Dept. of Education. Agran, N., Martin, J. E., & Mithaug, D. E. (1989). Achieving transition through adaptability instruction. Teaching Exceptional Children. 21 (2), 4-7. Mithaug, D. E., & Martin, J. E. (1989). Student-directed transition model: Final Report. Washington, D. C.: Secondary Education and Transitional Services for Handicapped Youth Program, Office of Special Education and Rehabilitation Services, Department of Education. Martin, J. E., Burger, D. L., Elias-Burger, S., & Mithaug, D. E. (1988). Practical application of self-control strategies with individuals who are mentally retarded. In N. Bray (Ed. ), International review of research in mental retardation (Vol. 15, pp. 155-193): Orlando, FL: Academic Press. Mithaug, D. E., Martin, J. E., & Agran, M. (1987). Adaptability instruction: The goal of transitional programming. Exceptional Children, 53, 500-505. Mithaug, D. E., Horiuchi, C. N., & McNulty, B. A. (1987). Parents reports on the transitions of students graduating from Colorado special education programs in 1978 and 1979. Denver, CO: Colorado Department of Education. Agran, M., Martin, J. E., & Mithaug, D. E., (1987). Transition assessment for students with mental retardation. Diagnostique, 12 (3-4). 173-184). Martin, J. E., Elias-Burger, S., & Mithaug, D. E. (1987). Acquisition and maintenance of time-based task change sequence. Education and Training in Mental Retardation, 22, 250-255. Fenell, D. L., Martin, J. E., & Mithaug, D. E., (1986). The mentally retarded child. In L. Golden & D. Capuzzi (Eds. ), Helping families with children (pp. 87-96) Springfield, IL: Charles E. Thomas. Martin, J. E., & Mithaug, D. E. (1986). Advancing a technology of self-control. British Columbia Journal of Special Education, 10, 93-100. Rusch, F. R., Mithaug, D. E., & Flexer, R. W. (1986). Obstacles to competitive employment and traditional program options for overcoming them. In F. R. Rusch (Ed. ), Competitive employment issues and strategies. Baltimore, Maryland: Paul H. Brookes Publishing Co.
Mithaug, D. E., Horiuchi, C. N., Fanning, P. N. (1985). A report on the Colorado statewide followup survey of special education students. Exceptional Children, 51, 397-404. Rusch, F. R., & Mithaug, D. E. (1985). Employment Education: A systems-analysis approach to career planning for the severely handicapped student. In R. Bruinicks and K. C. Laken (Eds.) Living and learning in the least restrictive environment. Baltimore, Maryland: Paul Brookes Publishing Co.
Mithaug, D. E., & Horiuchi, C. N. (1983). Colorado statewide followup survey of special education students. Final Report. Denver, CO: Colorado Department of Education. Mithaug, D. E., & Horiuchi, C. N. (1983). Colorado statewide followup survey of special education students. Appendices. Denver, CO: Colorado Department of Education. Mithaug, D. E., Horiuchi, C., Hartley, N., Paulson, J., Kolstoe, O., & Glandt, R. (1983). The development of procedures to identify career education needs of school aged persons. Career Development for Exceptional Individuals. Mithaug, D. E. (1980). Identifying prevocational competencies of severely/profoundly retarded persons through ecological assessments. THE DIALOG: Journal of the Texas Association of Educational Diagnosticians, 9, 44-47. Mithaug, D. E., & Mar, D. K. (1980). The relation between choosing and working prevocational tasks in two severely retarded young adults. Journal of Applied Behavior Analysis, 13, 177-182. Mithaug, D. E., & Wolfe, M. S. (1980). Reciprocal cooperation in dyads. Journal of Experimental Child Psychology, 29, 481-501. Mithaug, D. E., Mar, D., Stewart, J., & McCalmon, D. (1980). Assessing prevocational competencies of profoundly, severely, and moderately retarded persons. Journal of the Association for the Severely Handicapped, 5, 270-284). Mithaug, D. E., & Liberty, S. (1980). Word discrimination training to improve the communication skills of a severely retarded, non-vocal woman: A case study. Education and Treatment of Children, 3, 1-12. Mithaug, D. E. (1979). The changing workforce: An introduction. Journal of Contemporary Business, 8, 1-4. Mithaug, D. E. (1979). Negative employer attitudes toward hiring the handicapped: Fact or fiction. Journal of Contemporary Business, 8, 19-26. Fairchild, J. M., Mithaug, D., & Otto, M. M. (1979). Business school partnerships to train handicapped students for jobs. Journal of Contemporary Business, 8, 113-125. Mithaug, D. E. (1979). A comparison of procedures to increase responding in three severely retarded, noncompliant young adults. AAESPH Review, 4, 66-80. Mithaug, D. E. (1979). Critical steps in developing a prevocational training program for severely handicapped young adults. In R. York and E. Edgar (Ed.) Teaching the severely handicapped (Vol IV.). Columbus, Ohio: American Association for the Education of the Severely and Profoundly Handicapped. Mithaug, D. E. (1979). The relation between programmed instruction and task analysis in the prevocational training of severely and profoundly handicapped persons. AAESPH Review, 4, 162-178. Mithaug, D. E. (1979). Final report on an inservice project to train Title I administrators and teachers in the use of the pupil progress monitoring system to evaluate program outcomes. Olympia, WA: Office of the Superintendent of Public Instruction. Mithaug, D. E. (1978). Case study in training a generalized instruction-following response to preposition-noun combinations in a severely retarded young adult. AAESPH Review, 3, 230-245. Mithaug, D. E., & Hanawalt, D. A. (1978). The validation of procedures to assess prevocational tasks preferences in three severely retarded young adults. Journal of Applied Behavior Analysis, 11, 153-162. Mithaug, D. E. (1978). Case studies in prevocational training and behavior management of severely handicapped young adults. AAESPH Review, 3, 132-144. Mithaug, D. E. (1978). Increasing the severely retarded student's access to vocational education through prevocational training. British Columbia Journal of Special Education, 2, 311-320. Mithaug, D. E., Hagmeier, l. D., 7 Haring, N. G. (1977). The relationship between training activities and job placement in vocational education of the severely and profoundly handicapped. AAESPH Review, 2, 89-109. Mithaug, D. E., & Haring, N. G. (1977). Community and workshop placement. In N.G. Haring and L. Brown (Eds.) Teaching the severely handicapped. (Vol. II), New York: Grune & Stratton. Mithaug, D. E., & Hanawalt, D. A. (1977). Employing negative reinforcement to establish and transfer control of a severely retarded and aggressive nineteen year old girl. AAESPH Review, 2, 37-48. Reprinted in: Readings in special education 78/79. Connecticut: Special Learning Corporation, 1978. Mithaug, D. E., & Wolfe, M. S. (1976). Employing task arrangements and verbal contingencies to promote verbalizations between retarded children. Journal of Applied Behavior Analysis, 9, 301-314. Mithaug, D. E., (1974). Social services and research annual report. Seattle, WA: Experimental Education Unit, Child Development and Mental Retardation Center, University of Washington. Mithaug, D. E., (1973). The development of procedures for identifying competitive behavior in children. Journal of Experimental Child Psychology, 16, 76-90. Haring N. G., & Mithaug, D. E. (1973). A project for developing programs to utilize social processes to increase academic performance of handicapped children and to train teachers of the handicapped in the systematic use of social processes for educational objectives. FINAL REPORT. Washington, D. C.: Department of Health, Education, and Welfare, U.S. Office of Education. Stewart, J. E., Zelman, W. N., & Mithaug, D. E. (1971). The effects of different competitive contingencies on cooperative behavior. Journal of Experimental Child Psychology, 11, 461-479. Haring, N. G., & Mithaug, D. E. (1970). A planning project to increase employment opportunities of handicapped youth by increasing the number of educational alternatives. FINAL REPORT. Seattle, WA: Office of State Superintendent of Public Instruction. Division of Vocational Education. Haring, N. G., & Mithaug, D. E. (1970). An investigation of instructional procedures for increasing performance levels and future employment opportunities of marginal students. Washington D.C.: Department of Health, Education, and Welfare: Social and Rehabilitation Service. Mithaug, D. E., & Burgess, R. L. (1969). The effects of different reinforcement contingencies in the development of social cooperation. Journal of Experimental Child Psychology, 8, 402-426. Reprinted in: R. L. Burgess & D. Bushell, Jr. (Eds.) (1969). Behavioral sociology. New York: Columbia University Press. Mithaug, D. E. (1969). The development of cooperation in alternative task situations. Journal of Experimental Child Psychology, 8, 443-460). Mithaug, D. E., Burgess, R. L. (1967). Effects of different reinforcement procedures in the establishment of a group response. Journal of Experimental Child Psychology, 5, 441-458.